Skin & Co Roma’s new Umbrian Apothecary Collection is an affordable, yet luxurious, premium Bath & Body line for your entire family. Umbrian Apothecary features 16 distinct items, with organic active ingredients. The fragrances include, Fresh Lavender, Umbrian Truffle, Rosemary & Verbena and Citrus Amaro. All beautifully packaged and perfect for gift giving. 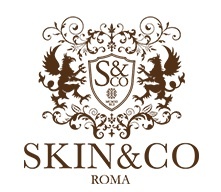 The highly-acclaimed collections from Skin & Co Roma were inspired by Sabatino & Co. family matriarch Giuseppina Balestra, who used truffles grown in the Italian region of Umbria with other natural extracts to create her own botanical oils. In the 1950s, her products became highly coveted among the Hollywood elite. Skin & Co Roma founder Gabriel Balestra later uncovered his grandmother’s recipes, and after years of university research, learned that the black truffles she used were a rare variety that contained a highly-potent anti-aging enzyme. This discovery formed the basis of his Truffle Therapy™ Anti-Aging Collection; one of several premier skin care, bath and body lines the company produces including the Sicilian Light™ Brightening Collection and now the Umbrian Apothecary™ Collection.